A while back I blogged about buying a PS2 in China, and there was a lot of interest. There’s not much to say about PS3, because it is so far uncracked/unpirated, so everyone who plays PS3 here imports everything. Games are 2-300 RMB each. XBox 360 has similar status re: pirating to Wii in China, but I have almost no experience with it, so will limit my observations to the Wii and its games. Nintendo does not officially sell the Wii in the People’s Republic of China, so buyers must purchase an imported system. 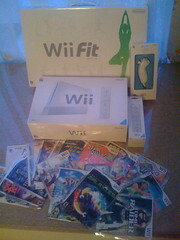 While previously Japanese Wii systems were the most common, now Korean imports are becoming more common. I imagine it is possible buy the Wii imported from the United States and other countries as well. All games work fine as long as you load them through the WiiGator Gamma Backup Launcher 0.3. The system also comes preloaded with Homebrew and Softchip (an alternate backup launcher). The shopkeeper told me only to use the WiiGator Gamma Backup Launcher, but I did actually try out the Softchip launcher, and it worked for most games. The (Korean) Mii section, however, does not work at all. I’ve heard that it can easily be enabled; the shopkeeper I talked to said it’s a waste of precious memory. I didn’t buy any memory upgrades, and so far I’m doing fine without it. Just like PS2 and XBox 360 games, Wii discs sell in Shanghai for 5 RMB each. It is expected that “backup launchers” and other alternate Wii firmware will continue to make strides. Currently, for example, online access is impossible, and attempts to use it will likely lock down the offending Wii system. In the event that alternate firmware does release better versions, it’s understood that shopkeepers will upgrade the firmware of their customers’ systems free of charge. I can’t actually help you buy a Wii; this information is for reference only. If you’re interested, please also see Buying a Wii in Taiwan, a sister blog post by my friend Mark, who lives in Taiwan. > Mark: This seafood is really good. > John: Huh? What seafood? > John: That’s not seafood. That’s chicken. It wasn’t the first time that has happened. Sometimes chicken in China gets mistaken for scallop-like seafood. It’s not that the chicken tastes fishy, it’s that the texture is very much like scallop meat. Why is this? Does anyone out there know? Should I be worried? What the hell am I really eating?? 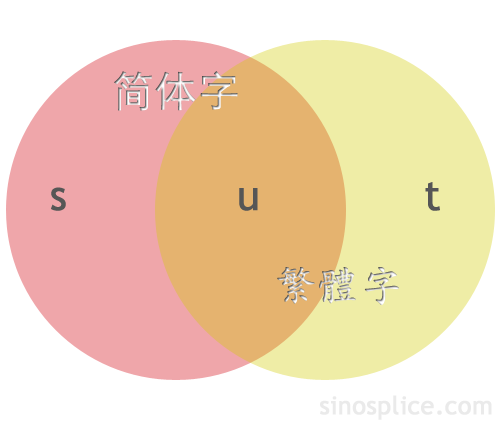 Note that the Chinese Number Tool handles simplified, traditional, and even 大写. The tool can also optionally insert commas in the output. See Mark’s blog entry about it for further explanation. Nicely done, Mark!